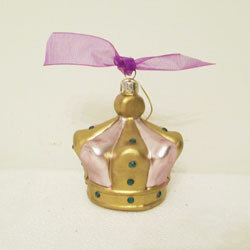 Hang on your Christmas tree, then add to your Mardi Gras tree. 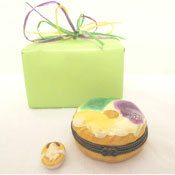 This glass ornament is purple, green and gold--the Mardi Gras colors. It's 3 1/2 inches high.